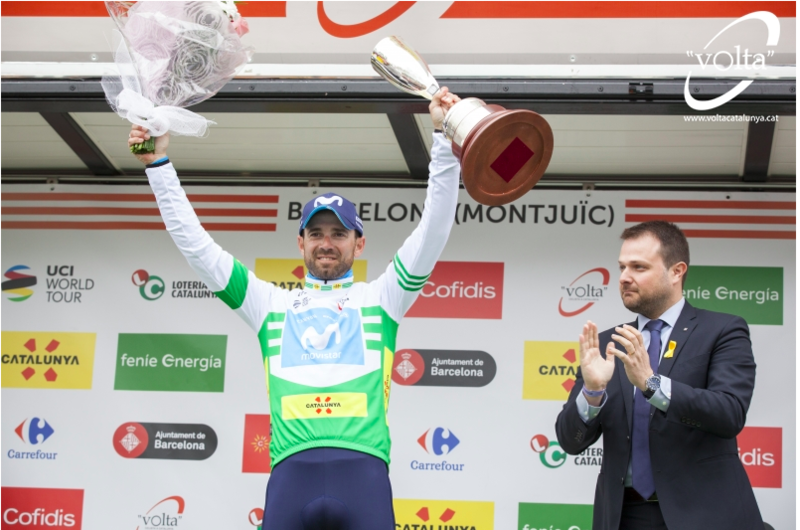 The Volta a Catalunya sometimes had more snow that it had show – and while the veteran Alejandro Valverde won overall, some young Colombians kept things interesting. It was a week-long stage race with no time trials (!) and none of the A-list sprinters in attendance (!!). I tell you, you will dream about weeks like this come the annual lap around France this summer… mark my words. Going into the race it seemed to have Alejandro Valverde’s name written all over it. Given his form and hunger so far this season it would have been a surprise to see him struggle – and he didn’t surprise us. At this stage in the season, many riders are talking about how a race has helped them get their base miles up. Valverde talks about how he won. Step forward Team Sky’s Egan Bernal. He looked very comfortable at Colombia’s wonderful Oro y Paz at the beginning of February and kicked on further here in Catalunya. Remember this was his first European race as a World Tour rider. On most stages he stayed on point, finishing well up in the bunch. He seemed to have a knack of making sure he was in the right place when it mattered. 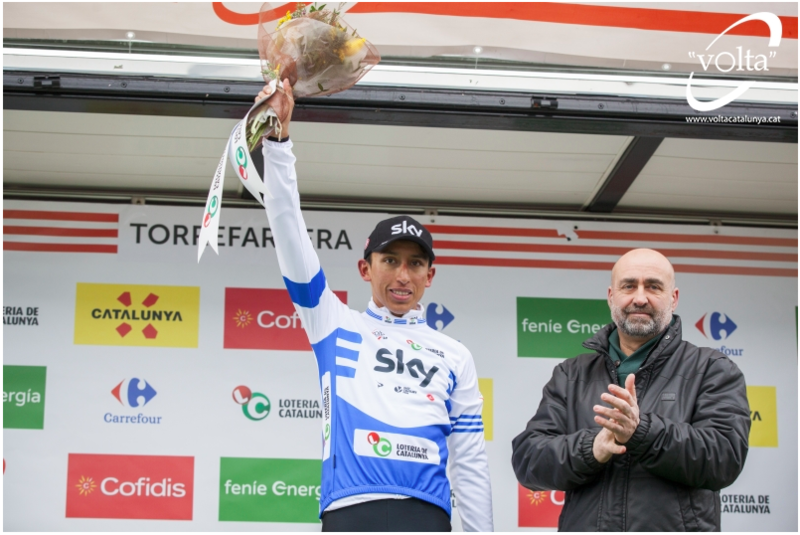 Stage two ended in a sprint contested by the climbers: Bernal finished fourth ahead of names like Matej Mohoric (Bahrain-Merida), Bob Jungels (Quick-Step) and Warren Barguil (Fortuneo-Samsic). It didn’t even look like he was trying that hard. Bernal was most impressive on the fourth stage. It was him against Movistar’s three strongest riders. No matter how hard they made it for him, he kept calm and responded wisely. Marc Soler set off, trying to tempt him into a match-burning chase. Bernal chilled and didn’t make any rash moves. Eventually it was Soler whose flame was extinguished. Next, Nairo Quintana had a go at sapping young Egan, accelerating up the road. Again, the novice Colombian didn’t panic. He stuck with Valverde and soon it was Quintana going backwards. At the summit with 500m to go things flattened out. Bernal realised he was beaten but didn’t let Valverde give him a good trouncing. He just sat with the Movistar rider, let Valverde have his head and cooly finished just behind him. The next day he set out with intent and took three bonus seconds at the first intermediate sprint. Because he could. He ended up with four top ten finishes across the week. On the day Bernal was born, in January 1997, Valverde was 16 and had been racing bikes for nine years. But it was a gap of seconds, not generations, that split them this week. At the end of day six he’d finished on the same time as Valverde on every stage and was second on GC by 16 seconds. The Spaniard’s lead was solely down to bonuses. Sadly Bernal crashed when things got feisty towards the end of the final stage. He went out of the race and into the ambulance. Up until then he gave us a tantalising glimpse of what he has to offer. He could turn out to be very special indeed. An exciting climber at Team Sky… how will that pan out? Lotto Jackpot: Thomas De Gendt’s stage three win was a personal triumph but also another big win this year for his Lotto-Soudal team. The Belgian squad have been catching the eye way more than some of their rivals (you know who they are). Talking of eye-catching, De Gendt’s win also made one of the cycling photos of the year. Bala at Tiffany’s: I suppose his stage four win had elements of grace and elegance. There can be no other reason why Alejandro Valverde crossed the line wearing Audrey Hepburn’s gloves. Colombian Competitors: As well as Egan Bernal’s noteworthy race, we saw stage wins for Quick-Step sprinter Alvaro Hodeg and Trek’s Jarlinson Pantano. There was a lovely, long solo break from Mitchelton’s Esteban Chaves on stage four. Even Nairo Quintana (Movistar) seemed to have a bit more life about him than he’s shown recently [ever, even … ed] That Colombian talent shows no sign of stopping.